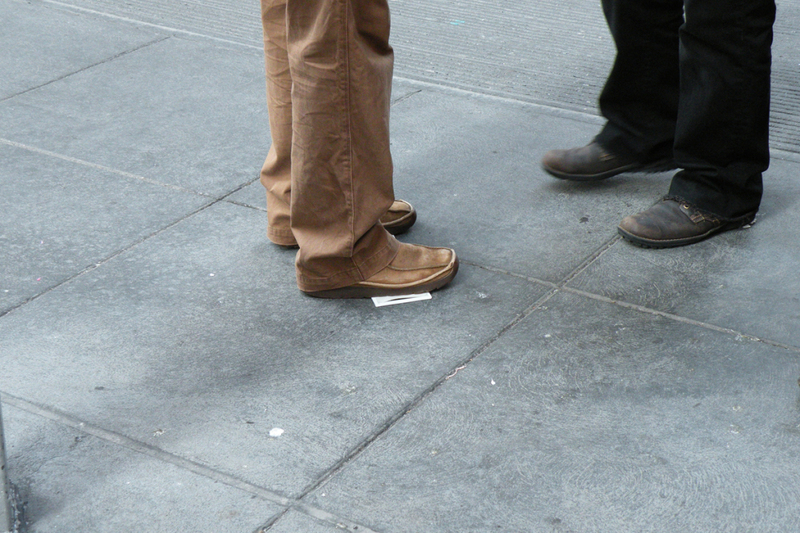 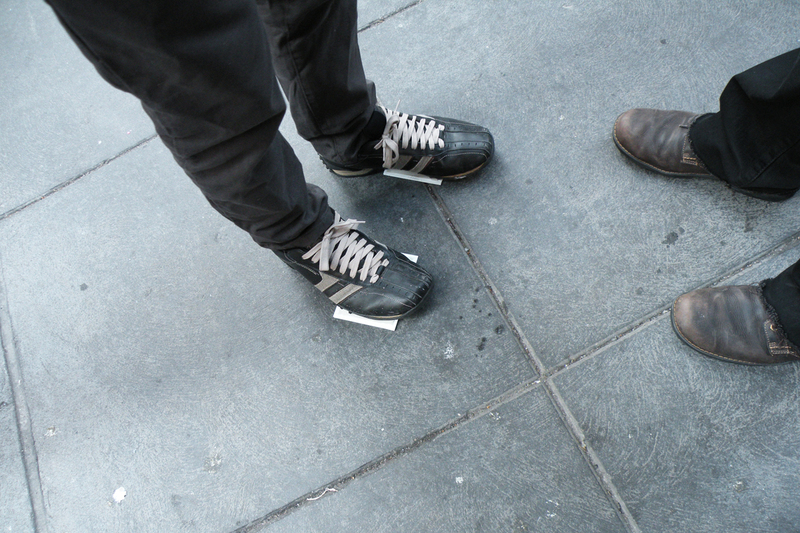 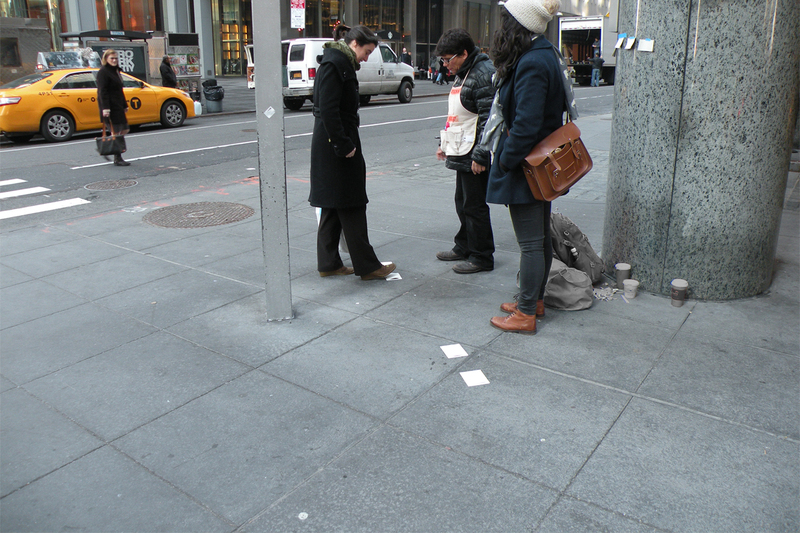 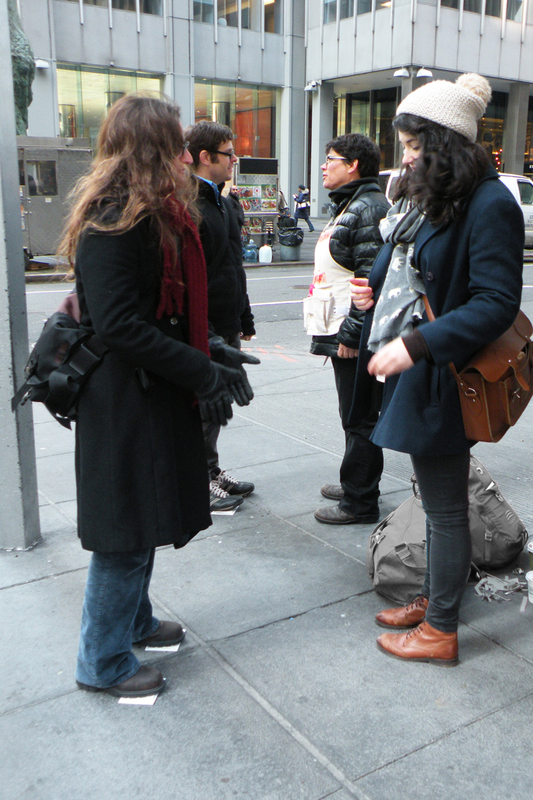 On a New York City street corner outside the annual College Art Association conference, plates were placed on the sidewalk with a piece of paper covering them. 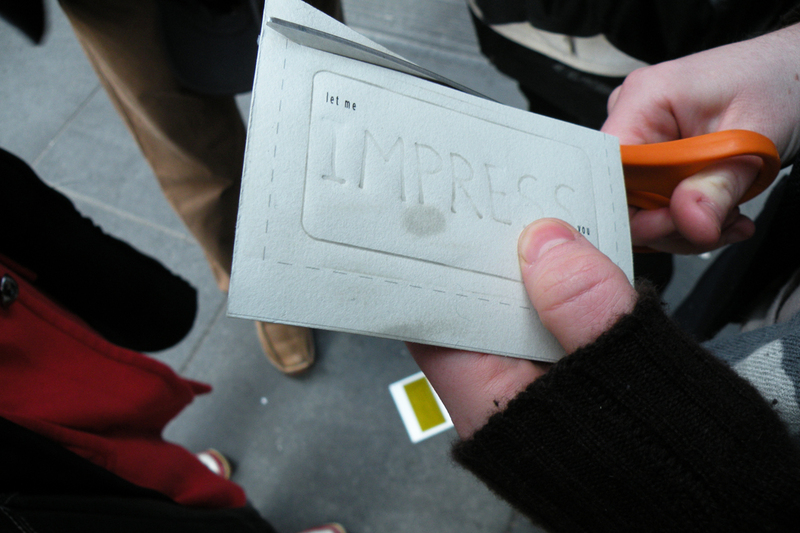 The paper is digitally printed with the text “Let me _____ You.” Pedestrians passing by were invited to step on the paper and make an embossment of the word “impress” as they engaged with the materials and the artists. 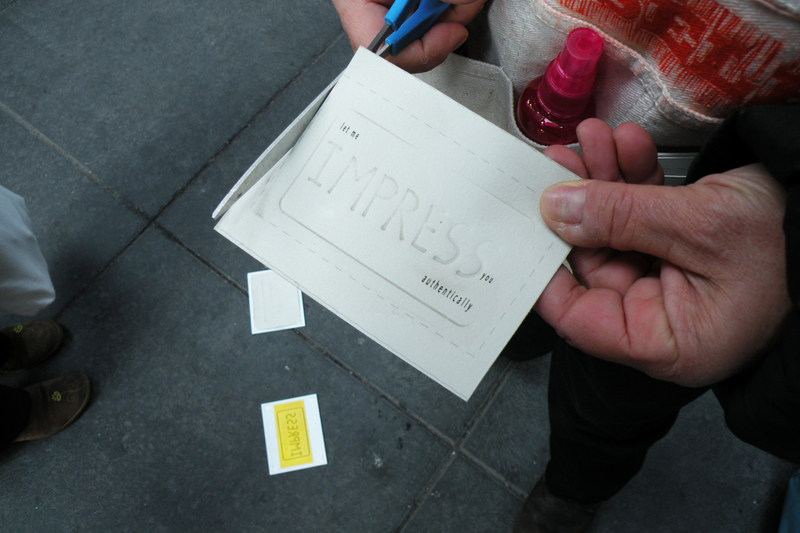 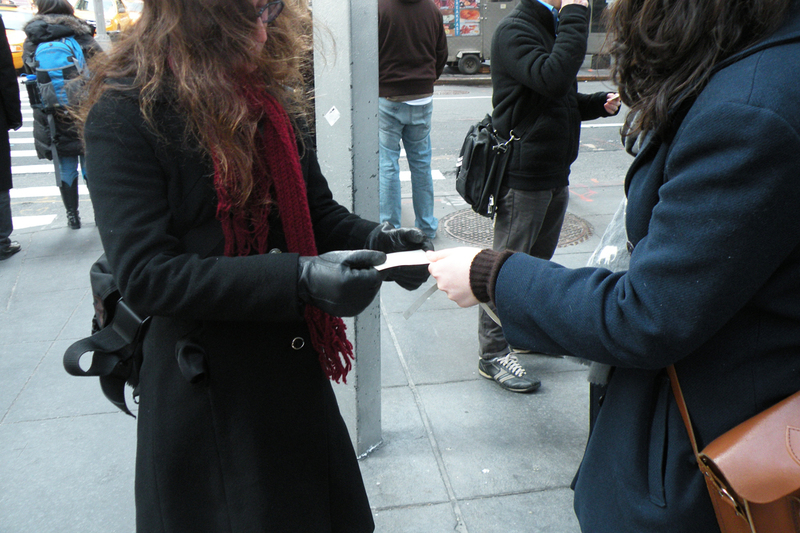 The paper was then trimmed into business card size and the participants were given the prints to take. 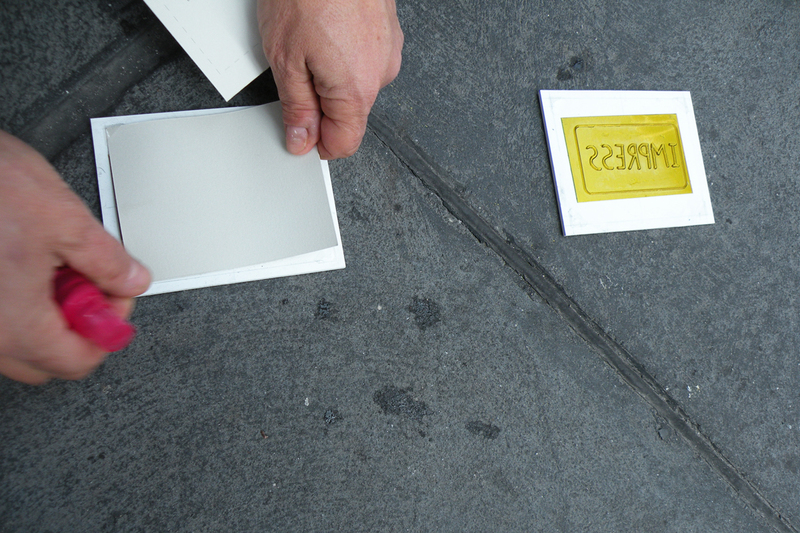 This collaboration and project were part of the 2012 WashU Printmaking Department Think Tank on Authenticity across traditional and digital print methods.